The promo is open to all RCBC Bankard Credit Cardholders in good credit standing. The promo is valid from February 1 to April 30, 2019 at Privato Hotel. The promo shall offer 35% off on published room rates when the cardholder uses his/her RCBC Bankard credit card. The booking is non-changeable, non-cancelable and non-refundable. Offer cannot be used in conjunction with other promo offers, packages, corporate rates, contracted rates and conference/group bookings unless specified otherwise. A qualified RCBC Bankard Cardholder shall use his/her RCBC Bankard and present a valid government issued ID to pay for his/her bill upon check-in, valid for stays within the promo period. Offer is non-transferable and non-convertible to cash or gift certificate. 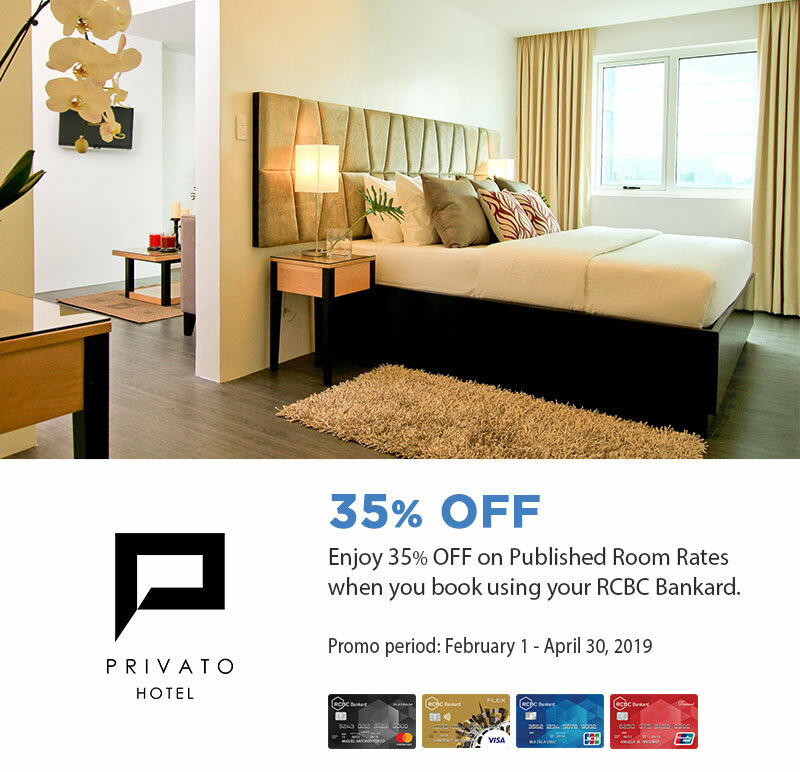 In case the cardholder fails to comply with any of the above, Privato Hotel and RCBC Bankard reserve the right to withhold the cardholder from the promo. In the purchase of goods and services which are on promotional discount, the senior citizen can avail of the promotional discount or the discount provided under the Expanded Senior Citizens Act of 2010, whichever is higher. Per DTI-FTEB permit No. 0950, Series of 2019. Rizal Commercial Banking Corporation (RCBC) is regulated by the Bangko Sentral ng Pilipinas (BSP). 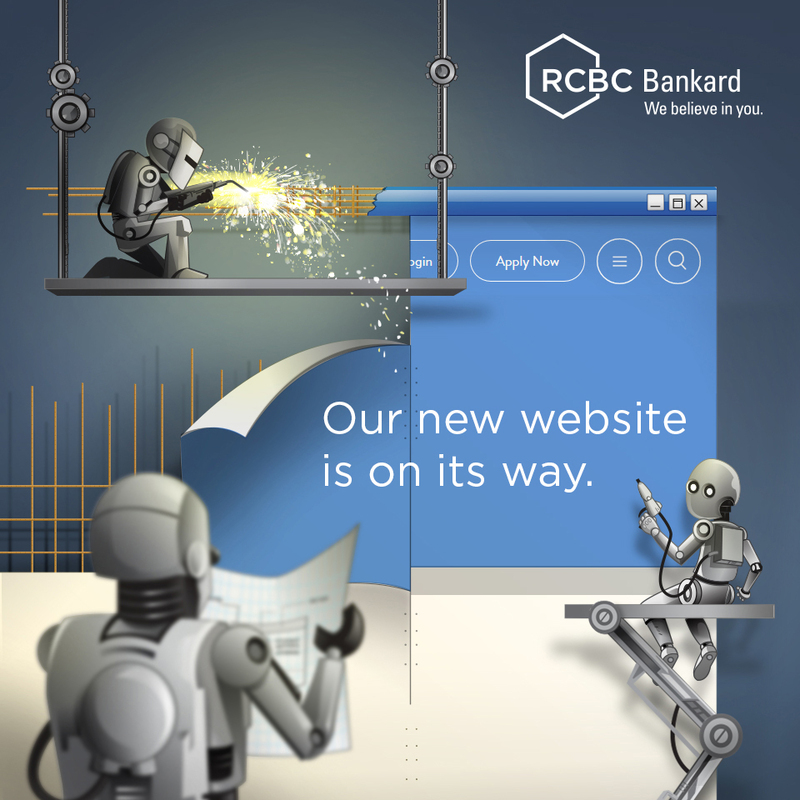 For inquiries and complaints in relation to RCBC Bankard Credit Cards, please call RCBC Bankard Customer Service Hotline at (02) 888-1888, send an email at service@rcbcbankard.com, or the BSP Financial Consumer Protection Department at (02) 708-7087.